Auditioning for college performing arts programs can be very stressful for high school students. But if you have the right coach by your side, you can get into the program of your dreams. Here are 10 things to look for in your college audition coach. 1. Experience. The college audition is its own unique animal. It is extremely important that you find a coach who has experience specific to college auditions. Auditions for theater, agents, casting directors, film, and television are completely different. You will likely be misguided unless the coach is experienced in the complexities and exceptionalities that are unique to the college audition process. 2. Results. Check to see if the coach has a proven record of success. Ask for a list of college programs to which former clients have been accepted. Be sure the results are tallied by individual student and not lumped together to boost their numbers. Ask to see the average number of acceptances for each student they coach and for their coaching percentage success rate. Also, ask how many students they service. 4. Access. Since about 2010, the popularity of college audition workshops, master classes, and mock auditions has been on the rise. Look for a coach with connections to program heads and college auditors who can provide you the opportunity to study with them in such classes. These are exceptional enrichment opportunities for you to meet college reps and see how they teach, try out your audition material, and build confidence. This will take the mystery out of the college audition process. 5. Service. Because no coach alone can know everything, look for an add-on of coaching services that include songs, monologues, dance, interview, essay writing, résumés, headshots, wardrobe, and mental, physical, and vocal health. It’s not enough just to have a performance coach. Look for a complete suite of support services available for you to use as much or as little needed. Coaching services start at around $75/session on the low end, and can run as high as $200/hour. 6. Support. One of the most significant ways that a coach can serve as your advocate is for them to get to know you and your needs. Your coach should also be easily available to you and your family whenever you want to communicate throughout the college audition season, and after. In addition, be sure that your coach makes an effort to learn as much about you as a person and a performer so that they can help bring out your true genuine self through carefully chosen material. Remember, colleges want to see the real you. 7. Community. Being part of team of like-minded thespians is enormously important while going through the audition year. A coach who has created a culture of resources and support will give you the feeling of being in a community that truly loves and cares for you. Ask about what efforts are made with current and former students in that regard, and how fellow families communicate with one another. Remember that parents need a community of support as well. 8. References. Don’t ever choose a coach without talking to a former client or clients to get references. Ask about the process, (do you have to audition? ), results, and followup. Find out about how audition prep was handled and whether coaching was done in person or online. And ask about audition material and whether it was thoughtfully chosen to show the student’s genuine self. If the coach has written a book, blogs, or has published articles, read those to get information on what the coach emphasizes and how knowledgeable they are. 9. Alumni. An alumni network can be very valuable for support and enrichment. Does the coach have a field of former students who are working professionally after college graduation? Are they available to you for questions and support? If the coach has created a post grad community of alums that you can go to for help in the years to come, that can be a very powerful tool toward building a successful career. 10. Relevance. Being up to date and staying current in the ever-changing world of college programs is super important. Find out if the coach is active on all social media platforms. Search the Internet to see if the coach has a relevant presence including a professional looking website that is current, informative, and easy to navigate. Look up their bio to learn their background. See how they interact with young performers via social media and how students relate to them. That will tell you a lot. Now go out there and find the right college audition coach for you! 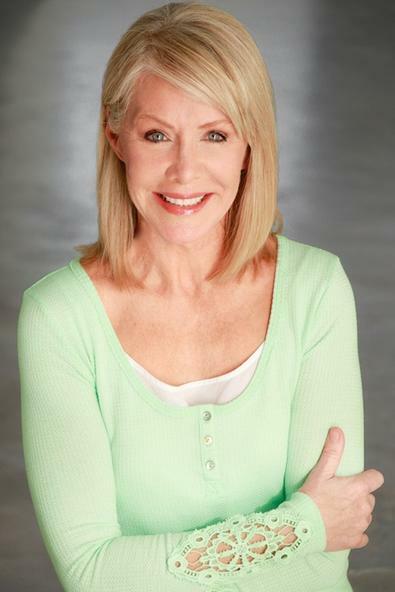 Mary Anna Dennard is a nationally recognized college audition coach and the founder of CollegeAuditionCoach.com, the first ever online prep for college performing arts applicants.